TMO Colombia is a medium size coffee exporter specialized in premium traceable coffee and specialty micro lots. Founded in 2012, over the past 5 years this Colombian organization has grown from a modest coffee-sourcing office, to an experienced exporter supplying all ranges of coffee from commodity to prize winning quality coffee to many countries, worldwide. TMO has expanded its infrastructure step by step, and now controls the full supply chain from farm to final export product. 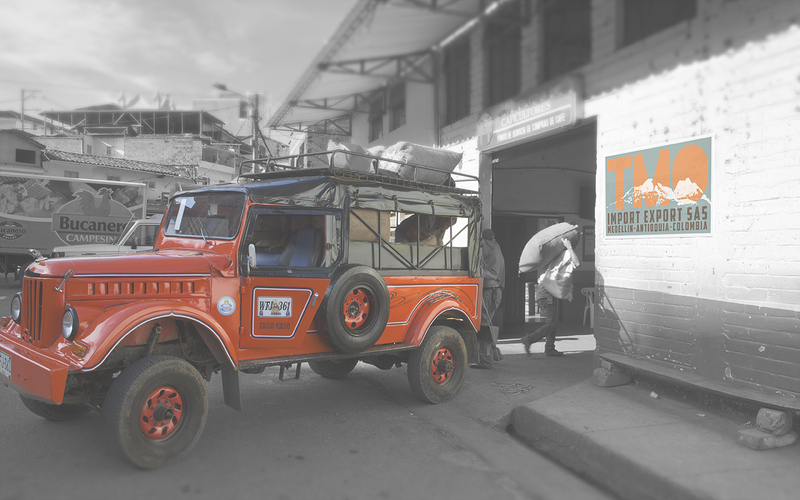 From September 2018 TMO is proud to be able to offer the highest quality milling through its daughter company the Medellin Mill centrally located in Medellin, Antioquia. TMO works closely with small farmers, associations and cooperatives, always focusing on personal relationships, paying fair prices and supplying full traceability. The large network of producers allows for access to consistent economically priced blends, as well as single farm micro lots. TMO Colombia has opened up several small buying stations in strategic locations in Huila & Antioquia. By establishing access points in small coffee communities and cupping the daily entering smallholder lots, we can always guarantee a good supply of quality coffee. Subscribe to follow our activities and receive the latest price list. Quality and sustainability are the main focal points of TMO Colombia, this is why we have decided to take control over the supply chain from farmer to finished export product. TMO has its own processing plant ‘Dry Mill’ where we analyze parchment, mill, clean, select and package (also vacuum) all coffee for export. The Medellin Mill is equipped with state of the art machines from Brazil, Italy, Belgium and Taiwan. Equipment that can handle both large volumes and small batches of washed, honey and naturally processed coffees. TMO is an established Colombian exporter, with over 5 years of experience in preparing documentation, and providing strict quality control for export. We work to the highest quality standards and can arrange any required preparation. Packaging options include personalized artwork on bags, GrainPro and Vacuum. At the end of the supply chain we work closely together with our partners and clients. We can provide import services into the US, Europe and Korea, allowing roasters to focus on their core business. Inquire for additional services incl. pre-financing, profiling & quality control. Our aim is to tailor quality, preparation and logistics to the customers need. We have initiated several projects to stimulate the development of small groups of producers in various regions of Colombia. And we’re always on the lookout for new projects. You’re invited to participate in these projects in any way you like. By paying an inclusive coffee price, or personally visit a project and help building washing stations for instance. Currently we are working toward the use of ‘blockchain’ based traceability system that will be in place from January 2019. A new stepping stone towards complete traceability. Intersted in our services? Visiting Medellin? You’re always welcome to contact us, or drop by in the Mill. Visiting roasters or buyers can cup with us in our quality lab where we do cuppings on a daily basis.